Girl in costume walking away from a house during Halloween. 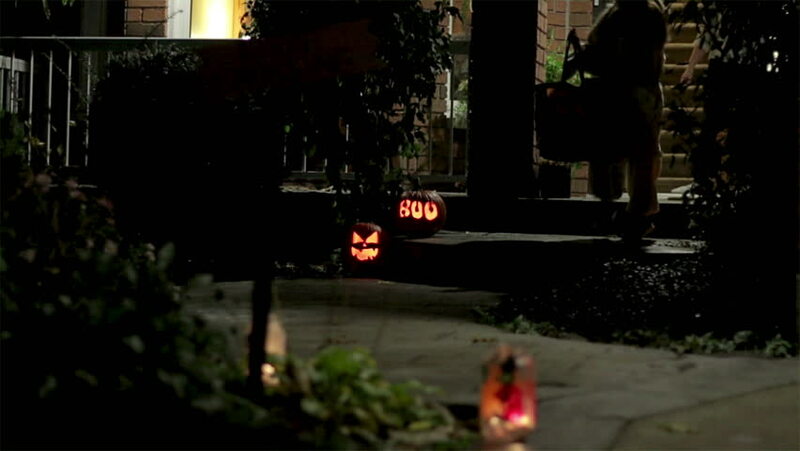 Trick or Treating and Jack o Lanterns carved and lit at night for Halloween. Child walking away from a house after getting candy. 4k00:09Kids dressed up for Halloween in costumes walking up to a house for trick or treating. Little girl in costume running up to the front door to collect candy. Carved pumpkins lit up. hd00:53Woman Exploring the Ilhabela in Sao Paulo, Brazil. sd01:451960s: American soldiers guide an M-113 tank past a Vietnamese cemetery in 1968.